Is there a better alternative to Flic? Is Flic really the best app in Productivity category? Will Flic work good on macOS 10.13.4? Flic give you extra buttons for your desktop. Keynote - Use Flic as a tiny presentation clicker without the annoying Bluetooth dongle. Spotify - You know that play/pause function button that never prioritizes Spotify and that no longer exists on TouchBar? That, but wireless and working. Timely - Use Flics to report time spent on multiple projects beautifully. IFTTT and Zapier - IFTTT and Zapier to run Web scripts or controlling your other gadgets. Slack - To let colleagues know you made a sale or that you’re going for lunch. Flic needs a review. Be the first to review this app and get the discussion started! Flic needs a rating. Be the first to rate this app and get the discussion started! Smart Lights - Including LIFX, Philips Hue, WeMo, Wink. 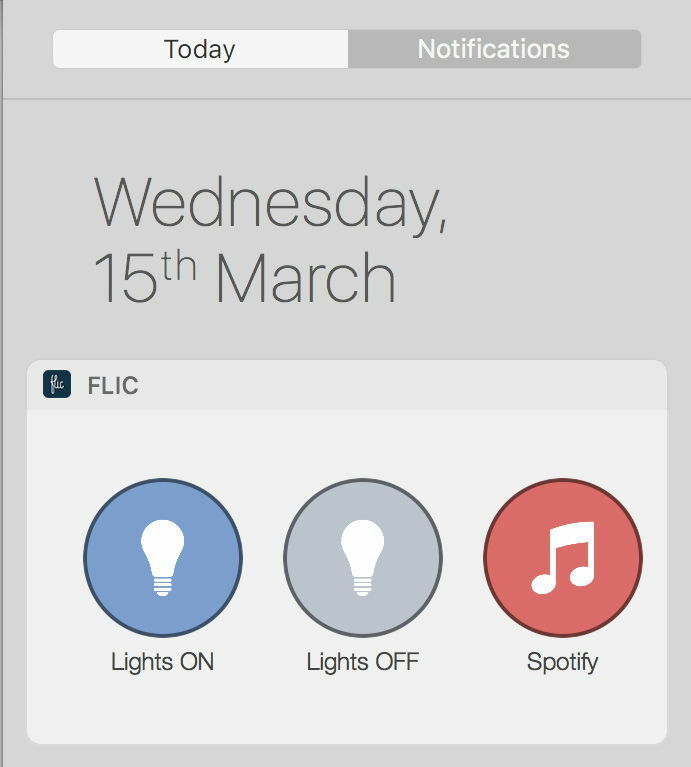 You can use your Flics not only to control apps and features on your Mac, but also to control external hardware. The best part is that you no longer have to rely on your phone for your Flics to work with your smart home! Ans while physical buttons are great, sometimes you might want to be able to access all the great Flic features directly from your Mac. Widgets to the rescue! You can think of widgets as virtual Flic buttons within your computer. All your widgets will also be displayed in Notification Center, so you always have them at your fingertips while working on your computer.